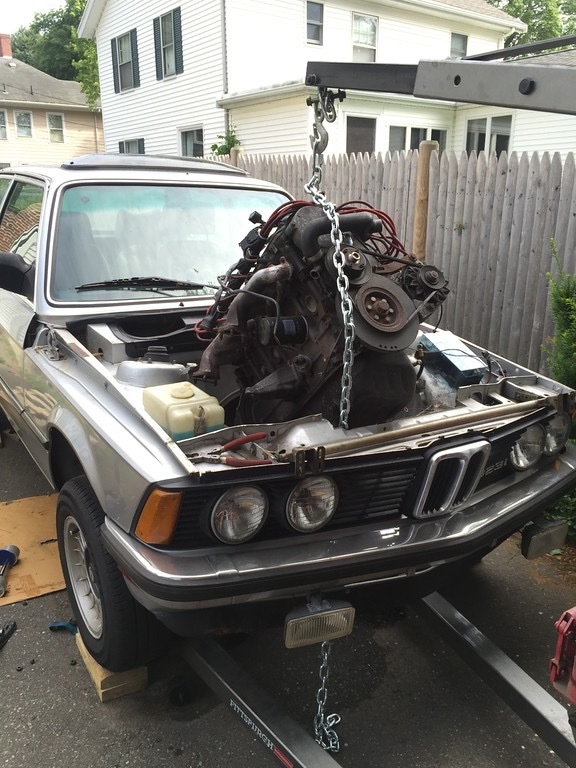 Could there be an easier engine swap than an E30 325i M20 into a E21 323i? 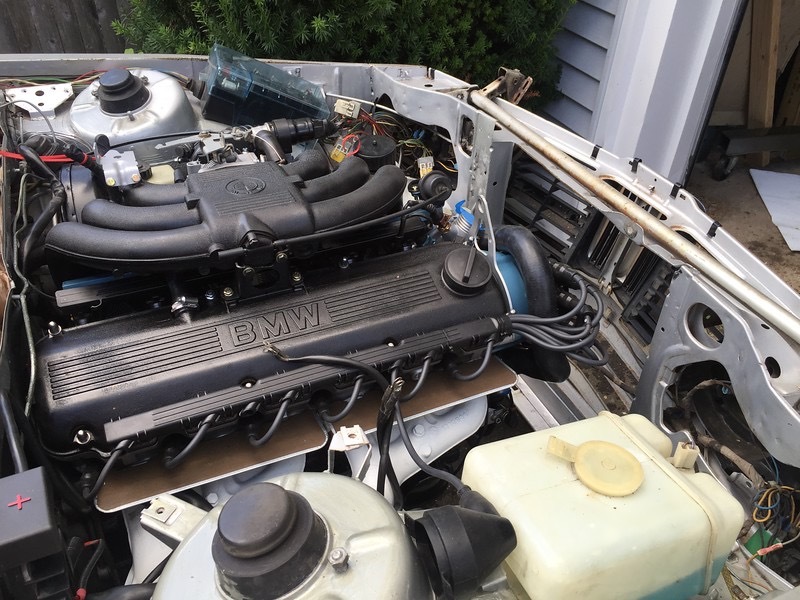 Actually, yes: an S52 into an E36 is pretty plug and play. But this almost as easy. There are a few really good guides online, including the ones covering 320i swaps. 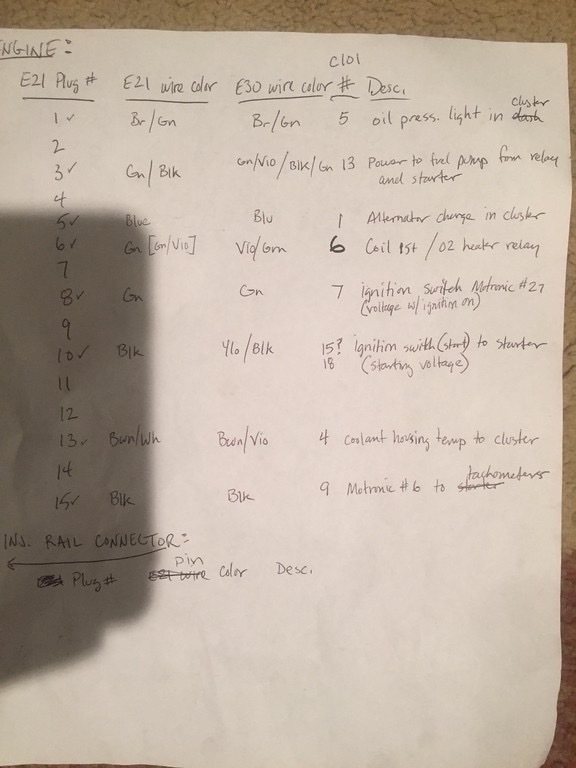 They didn’t always apply to my project so here’s what I learned along the way. New rubber fuel lines from the frame rail to the E30 fuel rail. 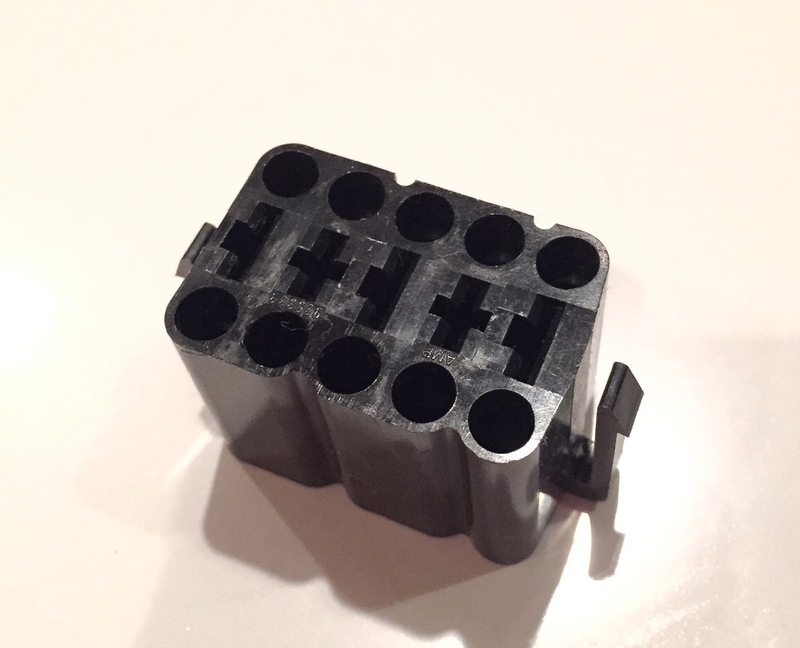 E30 C101 connector. The top should be on the engine wiring but get the body-side for a factory look. If you have a 1988+ M20 you will need the 1987 cooling system parts (water pump and hoses). Some of the hoses can come from the E21 system. An extra E30 front exhaust manifold. The E30 exhaust layout has the manifold outlets next to each other. The E21 has them spread apart. This might vary from car to car, however. I could have used the E21 manifolds but they looked too rusted on the studs. On my car I could not use the E30 rear manifold and had to source a front one. Everything bolted up from that point. E30 oxygen sensor and bung. And realize that the bung cannot be welded to a rusty exhaust pipe. You will probably want to relocate the battery to the trunk. That required a battery tray, battery cable, junction box for the engine bay, and wiring from the junction to the starter and alternator. And you will need to cut several holes in the interior sheet metal. You also need to cut a hole in the firewall for the engine ECU so it can mount under the dash, a la E30. The E21 flywheel and clutch will bolt on to the E30 M20. Some of the parts are actually the same anyway. They’re not expensive so make sure this stuff is taken care of. You will need the motor mount arms from the E21 (which you won’t get until the engine is out of the car). As for the actual swap itself, I did it in my driveway with a Harbor Freight engine hoist. You have to pull the hood off and the latch mechanism and rods need two people to safely remove. I pulled the engine with the transmission attached but it was SCARY. I won’t be doing that again. It came out pretty well but the two pieces together made it a struggle to reinstall. RPM signal to tachometer. This was the only connection that did not work. I ended up running a dedicated wire from the coil to the C101 plug (bypassing the E30 ECU). I was very pleased with the results and how straight-forward this was. It was a great learning experience and I’m enjoying the fruits of my labor.